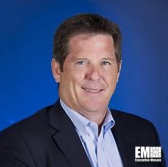 TYSONS CORNER, VA, March 18, 2019 — Spire Global hired Paul Damphousse, former chief of advanced concepts in the National Security Space Office at the Department of Defense, to serve as senior director of national security business development for the federal sector, GovCon Wire reported March 6. Damphousse will work to help Spire Federal increase its reach as the business unit seeks to bring new space data technologies to support the government, including partner agencies such as NASA, the company said March 5. “Spire has been focused on creating proven technology with proven talent… Our objective is more complete with the addition of industry thought leaders like Paul Damphousse,” said Keith Johnson, vice president and general manager of Spire Federal.